Flat Top Battery for Mods. 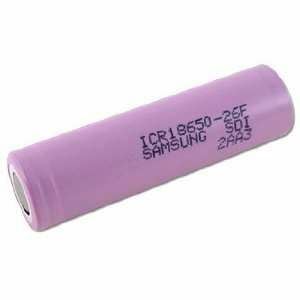 This is genuine Samsung 18650 Li-ion 2600mAh rechargeable Li-Ion battery. Made in Japan. 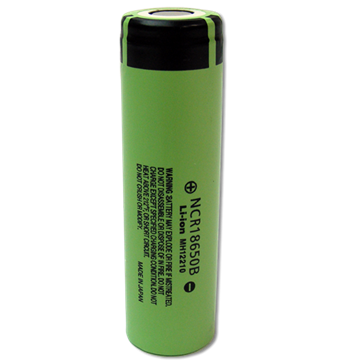 These batteries offer up to 5.2A Discharge and work great under high loads. Great Fit for all mods including Evic, Vamo, Innokin VTR, Cool Fire, Zmax etc. This battery is unprotected and is best suited to protected mods, not Mechanical mods. It is a un-protected battery with flat top, perfect for your protected mod only. Samsung 18650 Li-ion 2600mAh rechargeable Li-Ion battery must be carefully handled without being hit, overload, exposed to sources of heat!